The Candy Cloud Machine boasts a commercial grade, 950-Watt spinner that can easily heat up in 2 minutes and operate continuously. 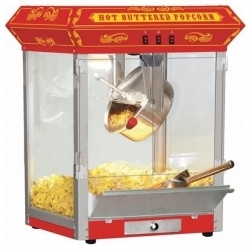 Each cone takes about 30 seconds to make once the spinner has warmed up and the ingredients have been added. The Large Stainless Steel Bowl helps make collecting the Cotton Candy easy and gives everyone the advantage of looking like a Cotton Candy Pro! 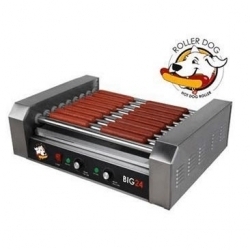 The Candy Cloud also has a built-in Stainless Steel storage drawer that makes keeping everything together easy. It has more than enough room to store Floss Sugar, spare cones, and anything else. 2 Button Operation, Turn Power on and Heating Element on. Volt display to ensure proper power is supplied. Large Storage Drawer with dividers helps keep supplies out of sight, but close by! 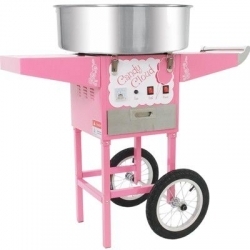 Simple Operation, Make Cotton Candy like a pro! 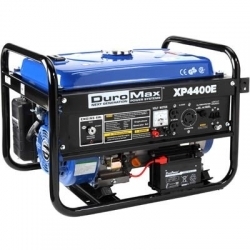 Heavy duty rubber feet help to eliminate vibration to surrounding equipment. Fast Warmup time, usually 2 minutes! 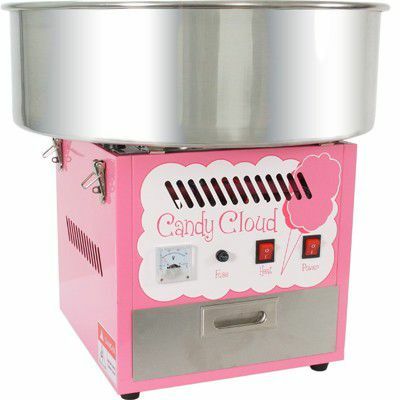 The Candy Cloud Machine has a commercial grade, 950-Watt spinner that can easily heat up in 2 minutes and operate continuously. Each cone takes about 30 seconds to make once the spinner has warmed up and the ingredients have been added. The Large Stainless Steel Bowl helps make collecting the Cotton Candy easy and gives everyone the advantage of looking like a Cotton Candy Pro! The Candy Cloud also has a built-in Stainless Steel storage drawer that makes keeping everything together easy. It has more than enough room to store Floss Sugar, spare cones, and anything else. Fast Warm up time, usually 2 minutes!